Ultratime 002 took inspiration form the “dark side of the moon”. Half of the watch face is covered by the dark plating. We folded the 12 hours into 6 divisions. Each time division represents 2 different time zone, which is 6 hours apart. The dots indicate the hour and minute separately. Time can be read through the edge of the dial. Most of us can easily sense the difference of 6 hours in a day. We believe people will excited by this new time reading way. Again, we redefine the time reading way and provide an interesting accessory option for you. Ultratime 002 took inspiration form the “dark side of the moon”. Half of the watch face is covered by the dark plating. We folded the 12 hours into 6 divisions. Each time division represents 2 different time zone, which is 6 hours apart. The dots indicate the hour and minute separately. Time can be read through the edge of the dial. Most of us can easily sense the difference of 6 hours in a day. We believe people will excited by this new time reading way. 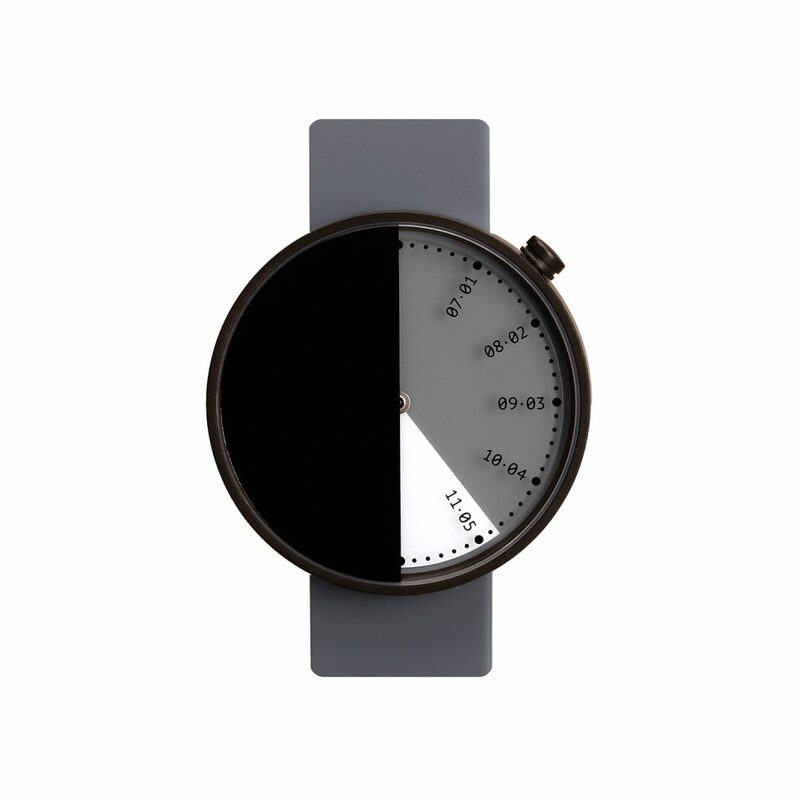 Again, we redefine the time reading way and provide an interesting accessory option for you. If you are interested in business cooperation with us on sales agency, product design, media report, etc., please contact us by email.